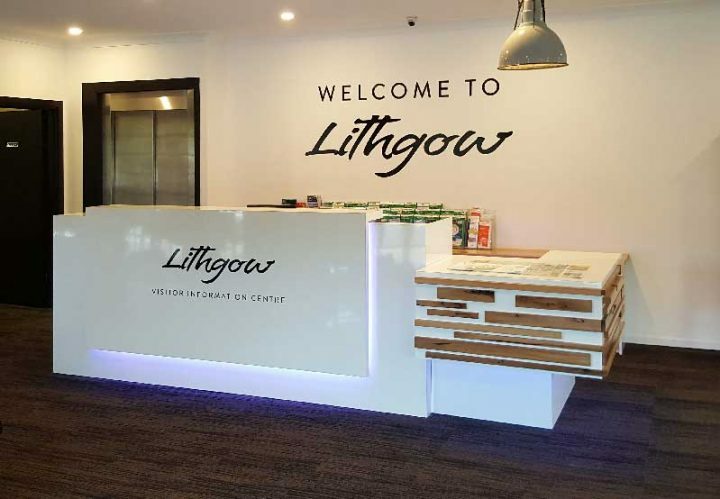 Public reception Desk for local council in Lithgow. The previous desk was as plain as a table with with 2 chairs behind it, a panel in front to hide the wires and a couple of computers on top. AUS Visual Merchandising Solutions Link was contracted to manage the upgrade to the facility. The head designer from Visual Merchandising Solutions, contacted us to make them a counter. We had previously built counters for other businesses where AUS VM and our work had overlapped. The old desk left visitors confused as to where approach staff for information. The new desk was to make make it instantly obvious as to where the focal point was. What had been happening previously, visitors would select mementos or other merchandising and sort of wander around looking for the counter to pay at. 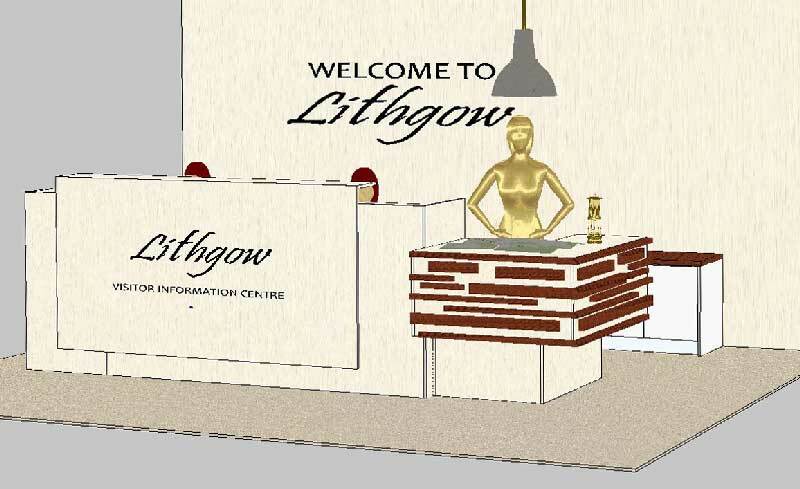 Another feature that had been requested by the designer for the public reception desk was to have an area where maps could be laid out easily and discussed with visitors. A feature light was to be positioned above this bench. The design of the public reception desk along with other makeover / facelift details was to modernize and give a lift to the 15year old building. Because it is a old mining town and has a earthy, rustic, colonial feeling about the town, it was decided to add a Blackbutt solid timber top to the back credenza and some Blackbutt timber features to the front of the the counter to soften the newness and to blend it in with other rustic furniture in the center. Led lights were added to give a gentle glow feature. If you are a new or existing business, upgrading or doing a new fitout contact us discuss your counter requirements.